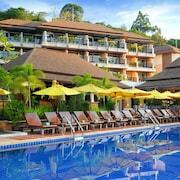 Situated by the sea, this spa hotel is within 1 mi (2 km) of Pai Plong Bay and Ao Nang Beach. Phra Nang Beach is 2.8 mi (4.5 km) away. 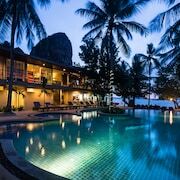 Nestled on the beach, this Ko Yao hotel is 0.1 mi (0.1 km) from Ao Phang-nga National Park. 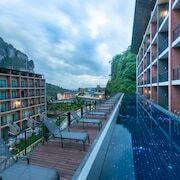 Situated in Krabi, this hotel is within 3 mi (5 km) of Ao Nam Mao, West Railay Beach, and East Railay Beach. Princess Lagoon is 3.1 mi (5 km) away. Which hotels are closest to the Ko Poda airport? 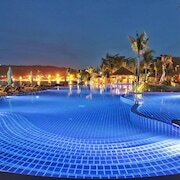 Where to stay near top Ko Poda attractions? 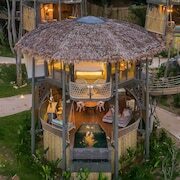 Which hotel chains are in Ko Poda? Visitors can enjoy all that Ko Poda has to offer including the beaches, seafood restaurants, and tours. This city also attracts tourists with its scenic landscape. 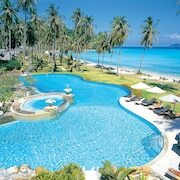 Around the area, top sights include Ao Nang Beach, Nopparat Thara Beach, and Tubkaek Beach. A couple of favorite places to visit are Tup Island and Miracle Beach. 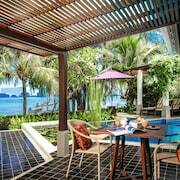 Additionally, in the area you'll find Ao Nang Beach and Nopparat Thara Beach. 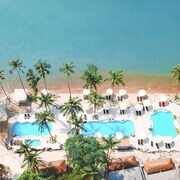 Popular places to see in the area include Tubkaek Beach, located 9.6 mi (15.4 from the city center, and Wat Kaew Korawaram, which is 9.9 mi (16 away. 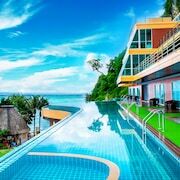 What are the most popular hotels in Ko Poda? Are there hotels in cities near Ko Poda? 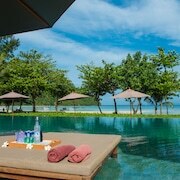 Explore Ko Poda with Expedia.com.au’s Travel Guides to find the best flights, cars, holiday packages and more!